You guys. I think I’m still hungry from yesterday’s post about where to eat in downtown Dallas… I have been thinking about burgers and cupcakes nonstop!! But food is not the only great thing about being downtown- there are also a lot of great things to see! The places/things on this list are really just things to see/look at/take a picture of/just kinda fun. Hope you enjoy these things as much as I do! Dealey Plaza – If you were paying attention in 10th grade history class, you will remember this as the place where President Kennedy was shot while in his car. Here you can see the grassy knoll and there is even a classy X spray painted on the road where the shot happened. Old Red Courthouse – There is technically a museum in this building, but I haven’t been inside yet. I just love the look of it! It’s so old! And red! 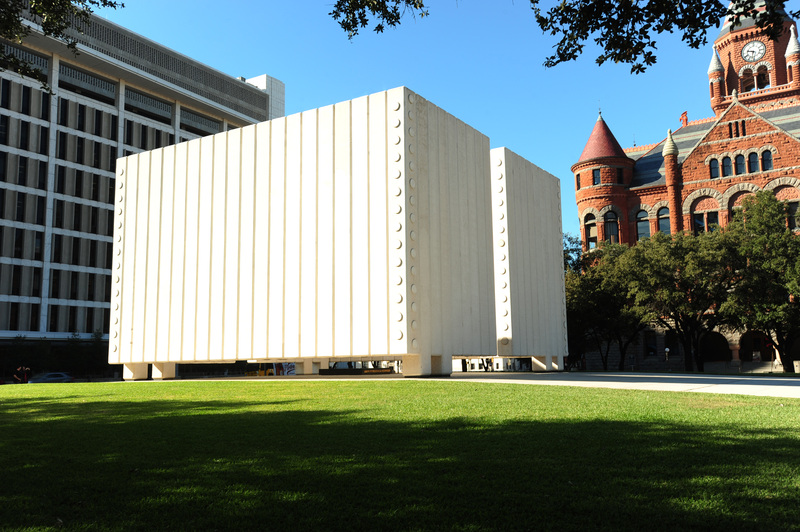 Kennedy Memorial – This is here in Dallas for obvious reasons. I recommend a little moment of silence when you come to this one. Read the plaques and learn a little, too, while you’re there. Pioneer Plaza – This was so much better than I expected it would be!! It’s just a bunch of sculptures, but it’s so fun to walk around and take selfies with the bulls! Giant Eyeball – Yes, this is exactly what it sounds like. 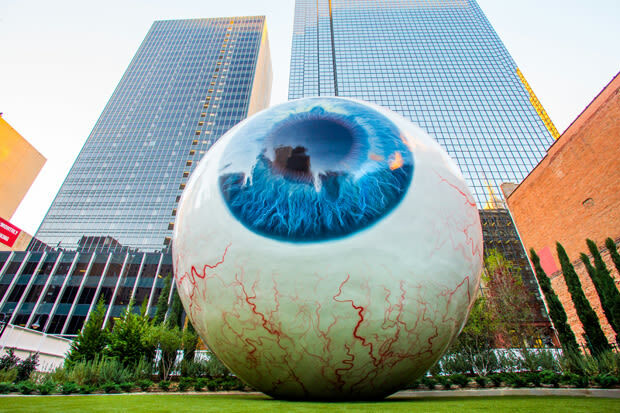 A 30-foot eyeball sculpture on a patch of astroturf in the middle of downtown. It’s pretty weird and pretty awesome! 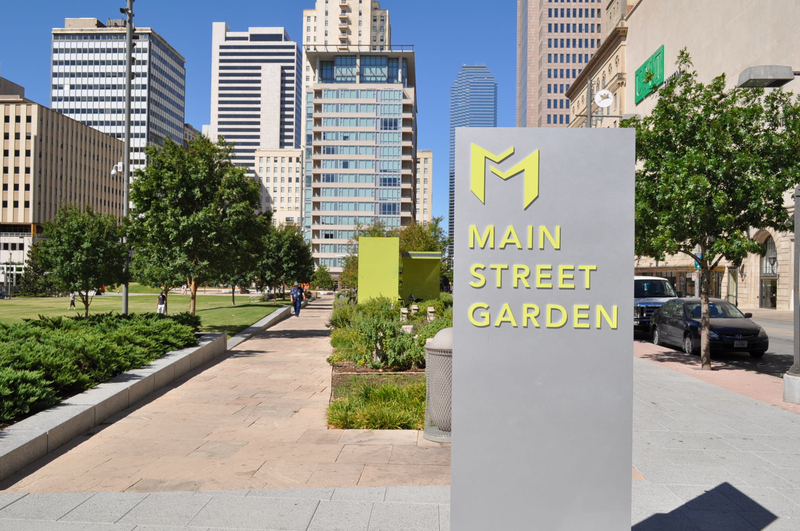 Main Street Garden – There isn’t anything super special here, it’s just a cute little park in the middle of the city. There’s a splash pad and you can play games, too! 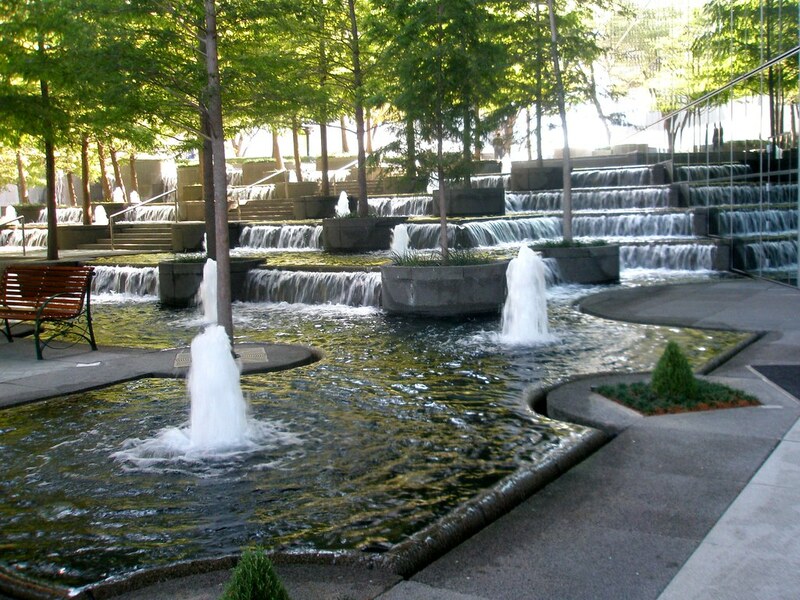 Fountain Place – There is this cute little courtyard here and it’s the perfect place to enjoy some shade and the sound of fountains in the background. There’s also a little fountain splash pad here, too! All of these great places- which ones are you going to visit, first?!? Do you have a favorite already on this list or any other spots that I should add? Let me know- I’m always looking for fun places to walk during my day at work!